The Whiteface Region is full of events, year-round, but some of our favorites happen to take place in early fall. With the warm, blue-sky days, and clear, crisp nights of September, not to mention the backdrop of the flaming leaves, you won’t want to miss any of these events. On Saturday, September 13th, either join in or witness hundreds of runners as they ascend the Whiteface Mountain Memorial Highway in a race to the summit during the 36th Annual Whiteface Mountain Uphill Foot Race. The race takes you to the top of the 5th highest peak in New York State. At the summit the views in September are amazing. 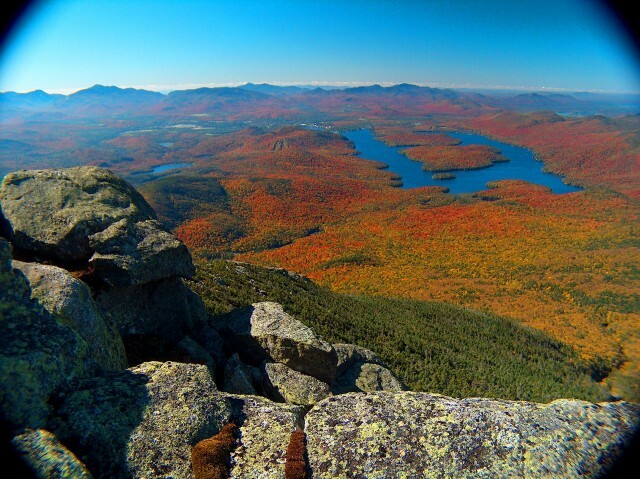 On a clear day, you can see as far East as Mount Washington in New Hampshire, and North to Montreal, not to mention the panoramic views of the surrounding Adirondack Mountains awash with the flaming leaves of autumn. In conjunction with the Uphill Foot Race on September 13th, Wilmington hosts the 11th Annual Festival of the Colors. 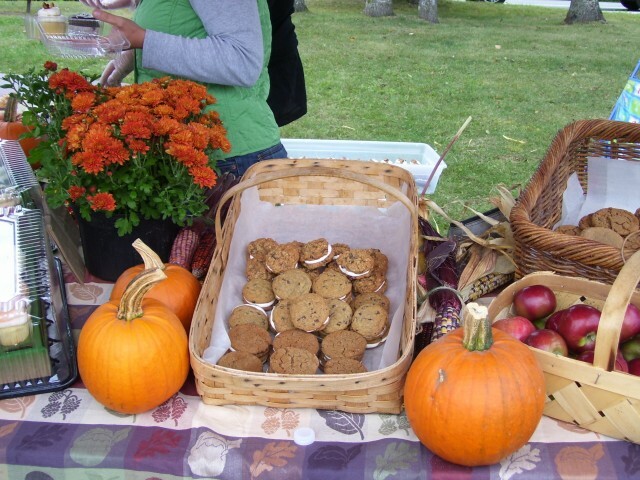 The event celebrates all things autumn and takes place in downtown Wilmington. The celebration includes local arts, photography, furniture makers, crafts and homemade baked goods. It’s a true Adirondack community festival, a not-to-be-missed affair. Rounding out the day is the popular pie baking contest and live entertainment along with free kids activities and games. A highlight will be guest appearances by Santa’s Workshop characters! The action goes on all day, so stop by after the Uphill Foot Race! If you’re an artist or love art, the Artist at Work Studio Tour is a must! Taking place in The Whiteface Region, in addition to the Lake Placid and Saranac Lake Regions, this is a terrific opportunity to visit our local artists at work in their studios. For two days, September 27th and 28th, the artists open their studio doors to the public and welcome visitation to see and purchase their works. At the peak of fall colors, this tour will take you across some of the most scenic drives in the Adirondacks. Galleries are spread far and wide, so plan a whole day to visit. Spend some time talking with the artists and enjoy the rare opportunity of watching them at work making jewelry, painting, shaping clay on a potter's wheel and more. Many offer some form of snack and beverages to the visitors during the two days of the event. In the Whiteface Region you’ll find nine of the 40+ artists scattered from Wilmington to Jay, Ausable Forks and Upper Jay. Visit Saranac Lake Artworks website for a map of the entire tour. And, don’t forget, it’s not too early to plan ahead. 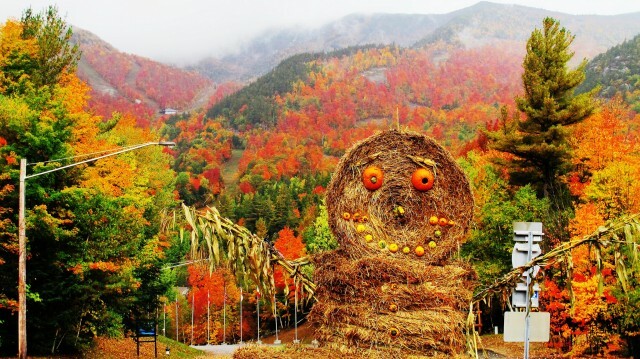 The grand-daddy of fall events is Whiteface Mountain Oktoberfest, held this year on October 4th and 5th. Plan a weekend stay and take in all that the Whiteface Region has to offer, including Oktoberfest. See you in the colorful season - and stay tuned for more exciting events in October!